The Gateway85 Gwinnett Community Improvement District is a public-private partnership funded by area property owners to promote business development and property redevelopment throughout the district. Gateway85 Gwinnett staff does this by working with local and county partners to ensure that zoning and development regulations are in place to encourage sustainable redevelopment and drive investment in our district. 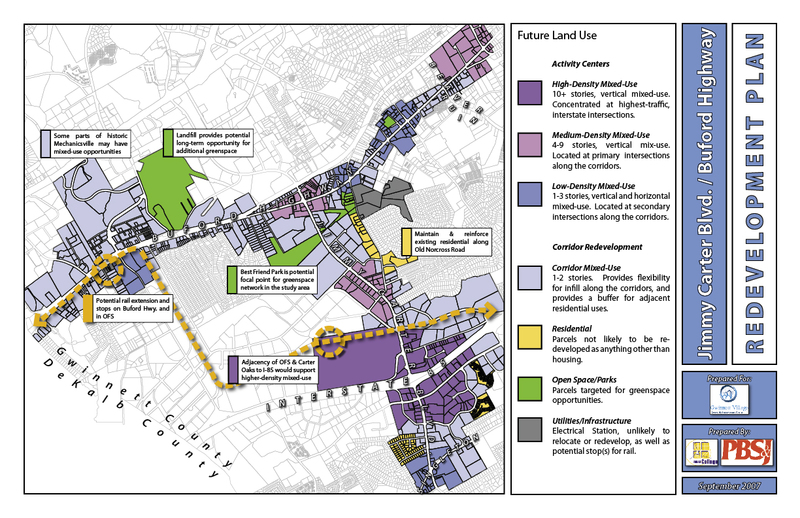 There are two approved “Opportunity Zones” within the Gateway85 Gwinnett boundaries. Opportunity Zones are areas designated by the Georgia Department of Community Affairs where companies who add net new jobs to the State can qualify for a $3,500 tax credit (per job added; two job minimum, but no maximum). For more information on Opportunity Zones please click here. Download the Gwinnett County Opportunity Zone Map here. There are two approved Tax Allocation Districts (TADs) within Gateway85 Gwinnett (one centered around the Jimmy Carter Boulevard & I-85 interchange and the other at the Indian Trail Road & I-85 interchange). TADs are a redevelopment incentive aimed at encouraging quality development in an underutilized or distressed area. For more information please click here. Download the Indian Trail Tax Allocation District Map here. Download the Jimmy Carter Blvd Tax Allocation District Map here. Keep up to date on all the news and changes in Gateway85 Gwinnett!